Please click on the link below to see some of our customer reviews. Click here for killswitchcentral feedback. 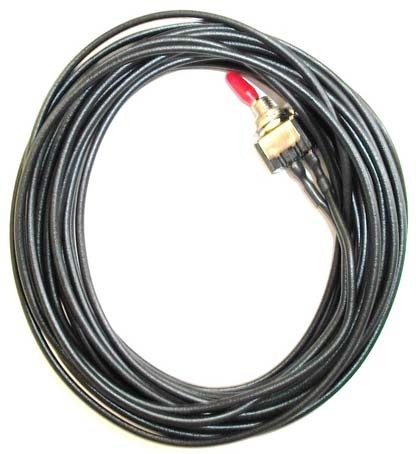 This kill switch will work for any vehicle that has a HEI distributor for the ignition system. Here is a picture below of a HEI ignition system to help you to distinguish if you vehicle has one in it. This kill switch is for any car or truck with throttle body or fuel injection or a vehicle with a HEI upgrade. 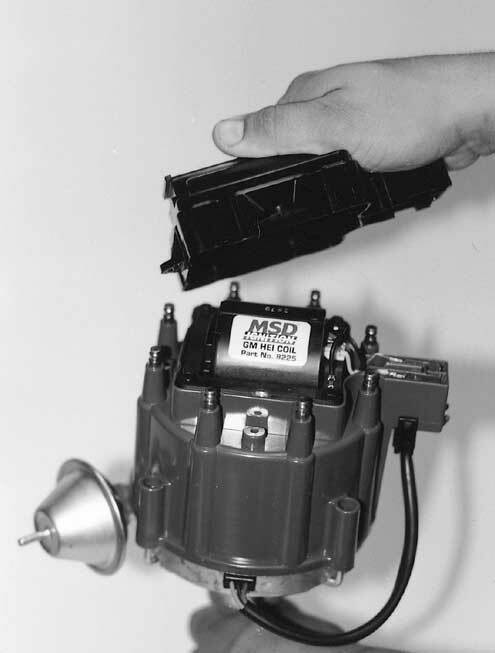 The switch will work for any car/truck made from 1980 - 2010 with a HEI distributor or a vehicle that has a HEI upgrade. The kill switch kit will include: 1 mini-toggle switch, wire, and 10 minute installation instructions. We will also assist you via email if you have any questions. This kill switch can lower your insurance rates depending on the insurance company. The switch itself is 1/2" long and 1/4" wide, so you can hide it anywhere in the front seat area. No matter how the thieves try to hot wire the car/truck they will not get it started. Two examples: if they try to bypass the factory or after market alarm or if they have your keys they will not be able to start it . This kill switch is easy to install: 2 wire hookup. No automotive knowledge is needed for this install. The kill switch can be mounted anywhere in the front seat area (under the dash or seat) or wherever you think is a good hiding place. Optional: if you would like to mount it, you only have to drill a 3/16" hole to mount the kill switch. When you click on the "Buy Now" button, you will be asked to provide your year, make, and model so we can provide you with the correct kill switch for your specific vehicle. We will send out the kill switch the next business day (excluding Sunday?s and holidays). INTERNATIONAL ORDERS ADD AN ADDITIONAL $15.00 FOR SHIPPING.